This Level 7 Professional Diploma in Dyslexia and Literacy is only available to those individuals who already hold a Specialist Teaching Qualification such as the Dyslexia Action Level 7 Certificate in Structured Teaching Intervention, Level 5 Diploma in Strategic Teaching Support for Dyslexia and Literacy, OCR Level 5 (with ATS) or other BDA accredited courses. 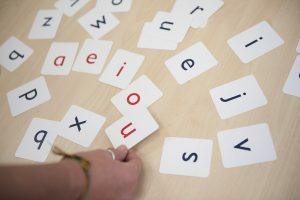 The Dyslexia Action Professional Diploma in Dyslexia and Literacy is a unique and prestigious programme at Master’s level 7 that provides the training for qualified teachers to become informed practitioners and specialist assessors. The courses are modular and flexible and are undertaken part time, through online learning. to a work and academic audience. context of strategic planning and management of professional development. how they apply to work/practice. development of the selected approach. changed and developed professional practice. Each module is divided into separate topics and these will be taught by tutors who specialise in that area. You must complete the modules in the sequence given for the particular program. sequence until such time as the preceding module has been successfully completed. The Dyslexia Action Professional Diploma in Dyslexia and Literacy is only available to those individuals who already hold a Specialist Teaching Qualification such as the Dyslexia Action Level 7 Certificate in Structured Teaching Intervention, Level 5 Diploma in Strategic Teaching Support for Dyslexia and Literacy, OCR Level 5 (with ATS) or other BDA or Guild accredited courses. Please refer to the brochure below and to the Accreditation of Prior Learning document below for further information. * Price includes Student Membership of the Dyslexia Guild while the participant is actively studying on a three module programme and for the first year of the programme only. Please ensure that you download and read the information in the Downloads section before applying. Information to read BEFORE applying. Depending on the modules you choose, you will need to be able to access one or two specific assessment tests to be able to complete the course. There are various places to buy tests or it may be possible to borrow them from the Guild library. 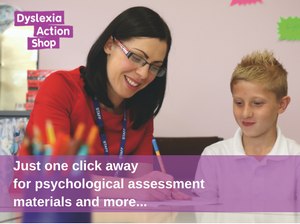 Real Group runs the Dyslexia Action Shop which sells many of the most popular tests from the main test publishers in the UK and USA Guild members receive a 10% discount, another option is to join the Dyslexia Action Shop Test Loan Scheme.